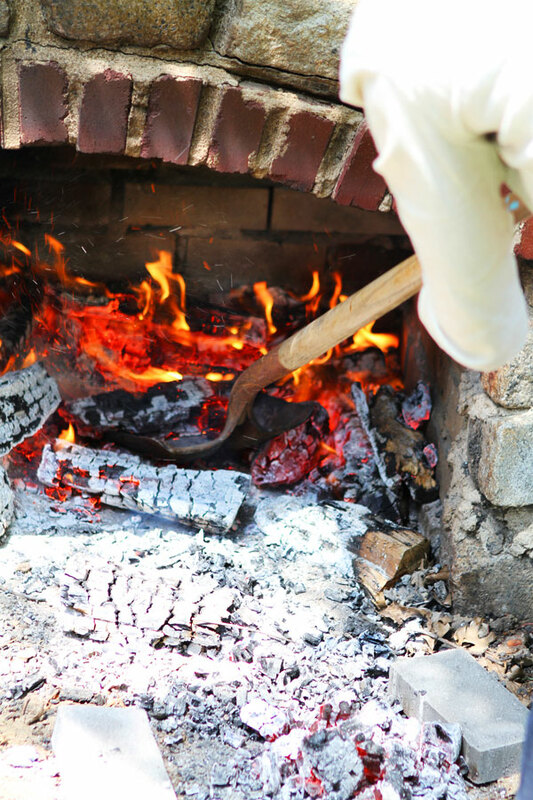 Here are some snapshots my students took the past two weekends at my Urban Hearth Cooking class at the Old Stone House in Brooklyn! If this looks like fun to you, be sure to get in the class when it returns in September. To be the first to know about future classes, sign up for my mailing list here. 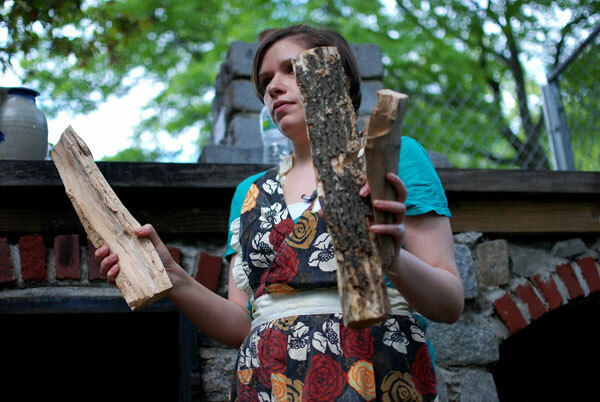 Brandishing the proper sized wood for a good cooking fire. Photo by Russell Karmel. Directing students on the most effective way to light a fire. Photo by Adriana Stimola. 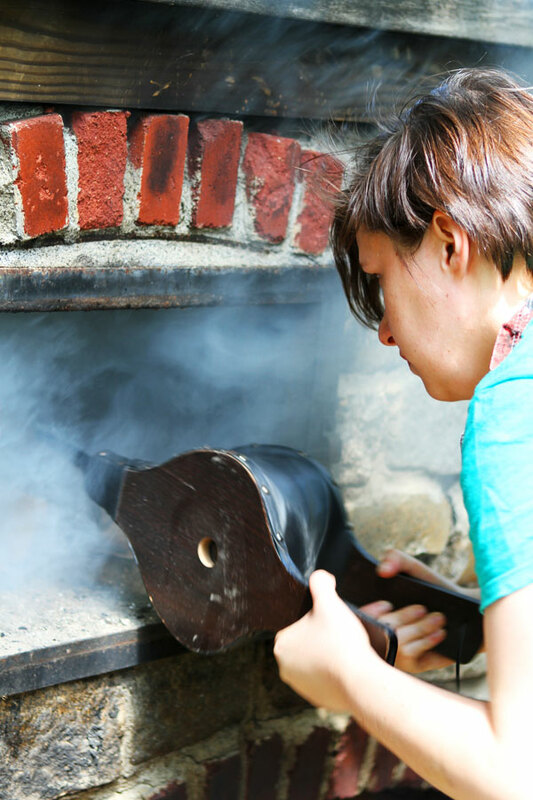 Working on a stubborn fire in the bake oven. Photo by Adriana Stimola. 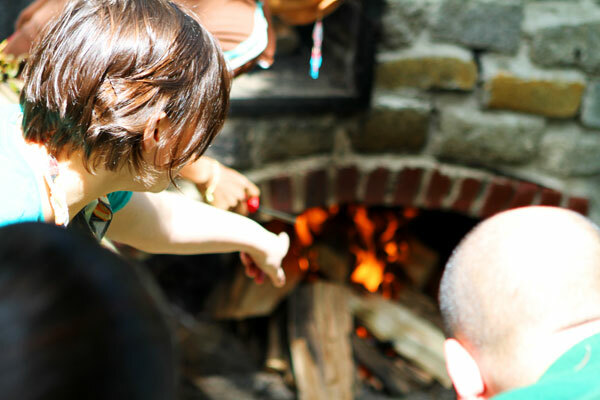 A student moves hot coals out of the fire. 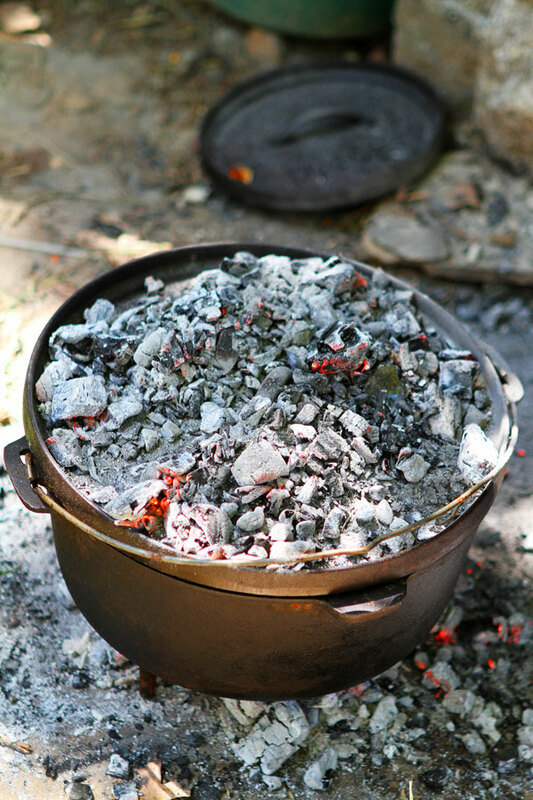 Arranged in small piles, the coals will be our cooking surface. Photo by Adriana Stimola. 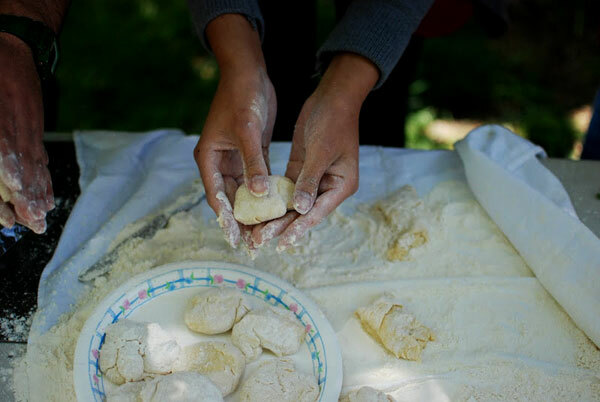 A student prepares dough for rusks, a fried roll. Photo by Russel Karmel. 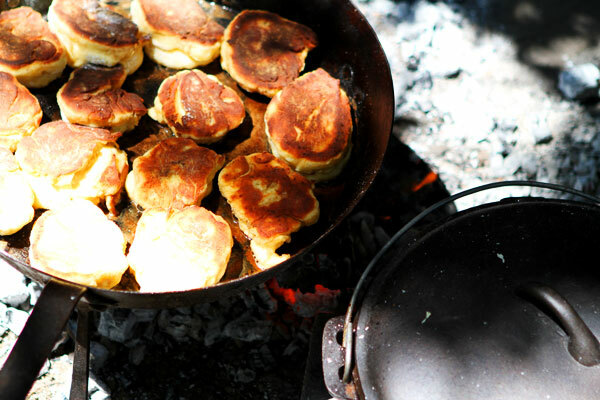 Rusks frying next to a simmering soup. Photo by Adriana Stimola. 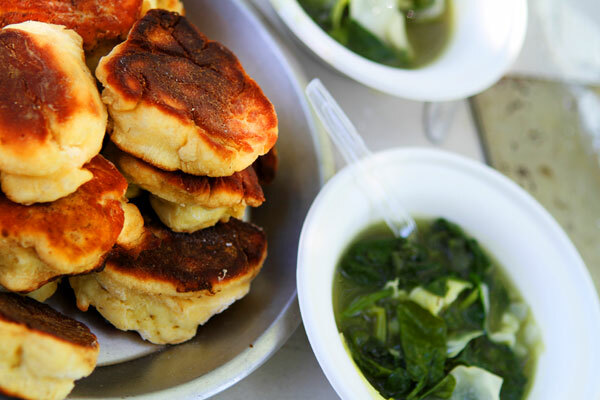 The first course of our fire-cooked meal: rusks and a spring soup. Photo by Adriana Stimola. Baking cookies in a dutch oven. Photo by Adriana Stimola. 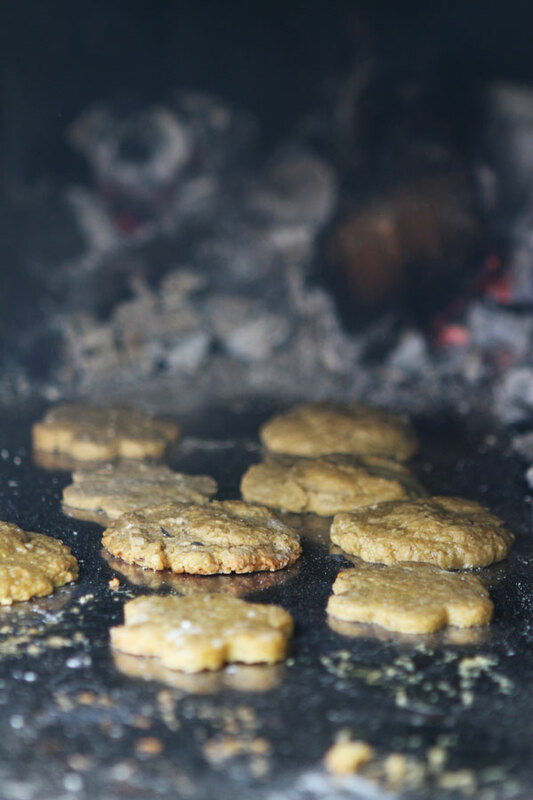 Baking cookies in the bake oven. Photo by Adriana Stimola.